This off-road four-wheel tough truck driving experience will have you driving along walls - and struggling not to roll over! Better than Skydiving? 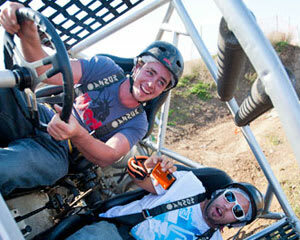 Experience an introduction to Extreme 4X4 in Avalon! 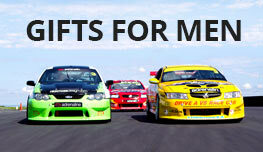 The best value gift experience in Melbourne bar none - see what Jules Lund loved about these Trucks. WE'VE SUPERSIZED YOUR DRIVE - BONUS 25% MORE TRACK LENGTH! The only experience of its type anywhere in the world! Includes passenger ride where a pro takes the wheel on a super-technical course! Get ready to be amazed as YOU get to take the wheel in a sensational Extreme 4X4 Intro Drive! You may have heard of tough trucks and have seen monster trucks but we're certain you've never experienced a drive like this! This truly is a unique 4X4 drive experience as you take the wheel of a $100,000 custom built Extreme 4X4 vehicle around two tracks designed specifically to showcase their amazing abilities. Built to competition standard and powered by a 350 Chev V8 Engine and boasting massive 44" tyres, these Extreme 4X4 monsters will blow you away! 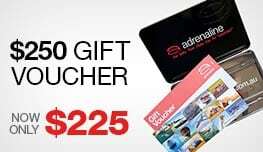 This is a driving experience like no other and sure to put a smile on the face of any motorsports fan. Participants might complete the circuit in less than the advertised time. Those found to be driving in a dangerous manner (i.e. ignoring instruction or driving too fast) may be putting the instructor and spectators at risk and may be excluded from the activity at the sole discretion of the instructor on the day. No refund will be available. My husband was given this as a gift for his 40th birthday. As he was able to take a passenger on each drive he did both our children 11 & 9 were able to enjoy this adventure with him. I had a great lookout spot where i was able to get great video and photos. The staff were very friendly. It was a great experience both for the driver/passengers and spectator. Was kinda expecting Monster Trucks but they were Monster Buggys. Still happy with the experience and had lots of fun. Could be a bit longer. Great staff. Was having so much fun it went too quickly. Thankyou for an experience we will never forget. 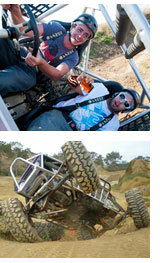 Guys at Extreme4x4 were very personable and everyone was made to feel very comfortable. Communication before the day was easy, relaxed and informal.